Some artists like to paint to be inspired others are inspired to paint. I am a little bit of both. If you have an idea you can either get a sketch book and sketch your ideas with pencil , pen, or marker or you can go straight to paint. Sometimes you may not have an idea and that’s why some artist create few great works. However, you can look at art in museums to get ideas or paint according to what’s going on in society like a movement. Doing a bit of research will help gather ideas. 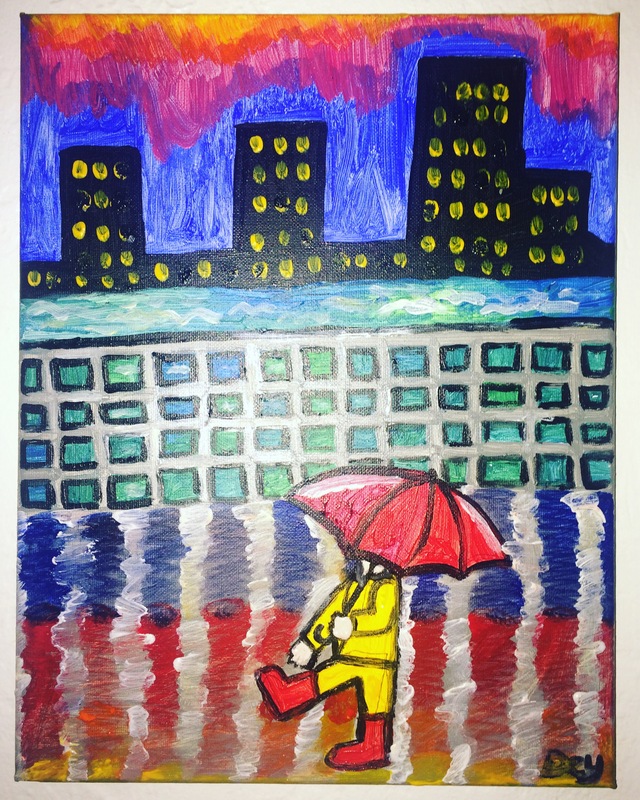 For example I’m from New York and I love the rain, I painted this piece today. This is what I had in my mind. Do any images come to your mind that you would like to share?